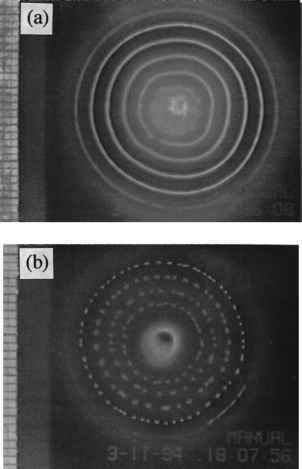 A reaction diffusion system exhibits diffusion-driven instability, sometimes called Turing instability, if the homogeneous steady state is stable to small perturbations in the absence of diffusion but unstable to small spatial perturbations when diffusion is present. The concept of instability in biology is often in the context of ecology, where a uniform steady state becomes unstable to small perturbations and the populations typically exhibit some temporal oscillatory behaviour. The instability we are concerned with here is of a quite different kind. The main process driving the spatially inhomogeneous instability is diffusion: the mechanism determines the spatial pattern that evolves. How the pattern or mode is selected is an important aspect of the analysis, a topic we discuss in this (and later) chapters. (n -V) I V I = 0, r on dB; u(r, 0), v(r, 0) given, where d B is the closed boundary of the reaction diffusion domain B and n is the unit outward normal to d B. There are several reasons for choosing zero flux boundary conditions. The major one is that we are interested in self-organisation of pattern; zero flux conditions imply no external input. If we imposed fixed boundary conditions on u and v the spatial patterning could be a direct consequence of the boundary conditions as we shall see in the ecological problem below in Section 2.7. In Section 2.4 we carry out the analysis for a specific one- and two-dimensional situation with the kinetics given by (2.7). Since we are concerned with diffusion-driven instability we are interested in linear instability of this steady state that is solely spatially dependent. So, in the absence of any spatial variation the homogeneous steady state must be linearly stable: we first determine the conditions for this to hold. These were derived in Chapter 3, Volume I but as a reminder and for notational completeness we briefly rederive them here. With no spatial variation u and v satisfy ut = Yf (u,v), vt = yg(u, v).